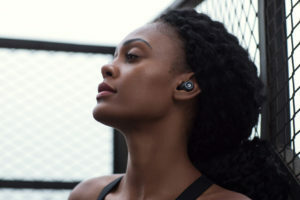 Crazybaby, the pioneering designer and developer of personal audio devices, launched the Crazybaby Air 1S, which offers athletes supreme acoustics, connectivity and 3D surround sound for a reliable connection to music on-the-go with Air 1S. The Crazybaby Air 1S offers the most acoustically advanced and premium athletic wireless headphones from Crazybaby’s flagship line yet. 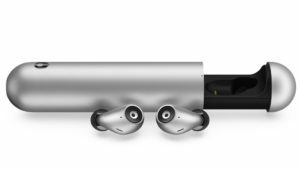 It delivers unprecedented drop-free connectivity and is completely redeveloped as a sports-centric follow up to its flagship line of Air wireless headphones. Coming with a streamlined and ergonomic design, Crazybaby Air 1S aims to offer a comfortable fit, supreme acoustics, and reliable Bluetooth connection for athletes. The Air 1S introduces never-before-seen features, designed for athletes. It is developed to sport an IPX6, sweat and rain resistant design, and is also competitively lightweight, weighing as light as a piece of A4 paper, to ensure a comfortable and secure fit for endurance athletes. The Air 1S, compared to its predecessor Air, comes with 3D virtual surround sound, noise reduction technology that blocks out noise created by the wind and, enhanced bass for deeper and richer sounds. The Crazybaby Air 1S introduces unparalleled connectivity, ensuring a reliably stable connection between athletes’ smartphones and headphones. With an embedded PIFA antenna, (the same technology used on smartphones), the Air 1S earbuds, for the first time, operate independently of each other in case the user loses or forgets an earbud. Crazybaby is a winner of the Red Dot Award, Good Design Award and CES Innovation Award. Allen Zhang founded the company in 2015 and Crazybaby is sold in 130 countries.Retail price of the wireless headphones is USD 159.